Try these smores recipes to add a new twist to a classic treat! 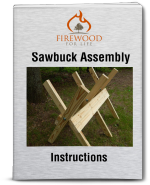 It's a great way to experience something new to eat on your next camping trip? The smore is a traditional campfire treat that consists of a roasted marshmallow and a layer of chocolate placed between two graham crackers. No one knows exactly when the first smore was created, but it's believed the Girl Scouts originally came up with the idea and labeled the tasty treat as "Some More" in 1925. Now, several years later, we have shortened the name and simply say smore or s'more. Although it's possible to roast a smore in a fireplace or over a stovetop, a majority of smores are cooked over a campfire. As with most campfire meals, it's best to cook a smore over a hot bed of coals instead of a roaring fire. Roasting a traditional smore is pretty easy. Start by slowly roasting a marshmallow over the campfire coals. It is important to slowly roast the marshmallow over the coals and not simply light the marshmallow on fire over the flames. 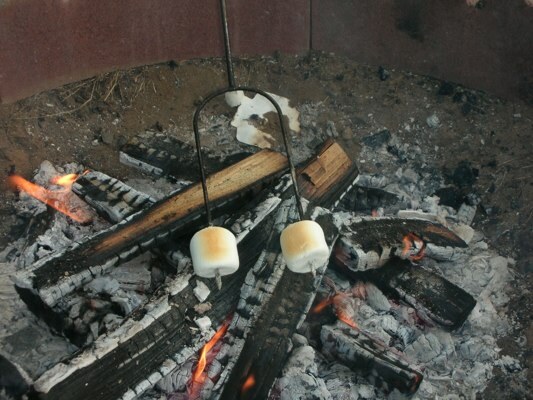 By slowing roasting, it allows the center of the marshmallow to become soft and gooey. 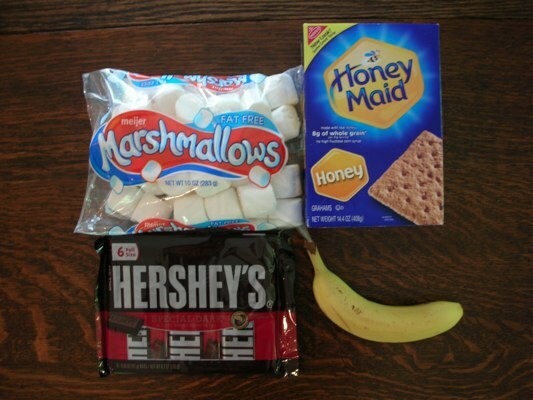 Once the marshmallow is thoroughly roasted, sandwich the roasted marshmallow and a piece of chocolate between two pieces of graham cracker. 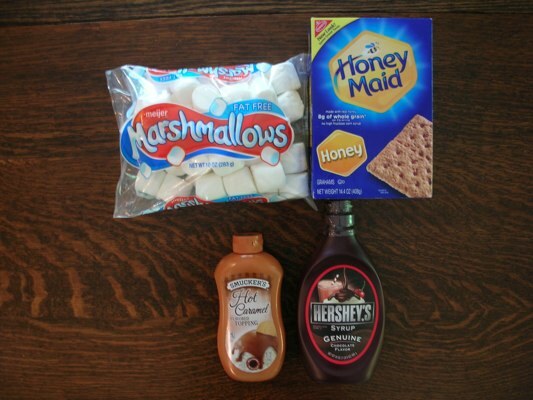 The hot marshmallow will melt the chocolate creating a delicious treat. That's it, the smore is now ready to eat! 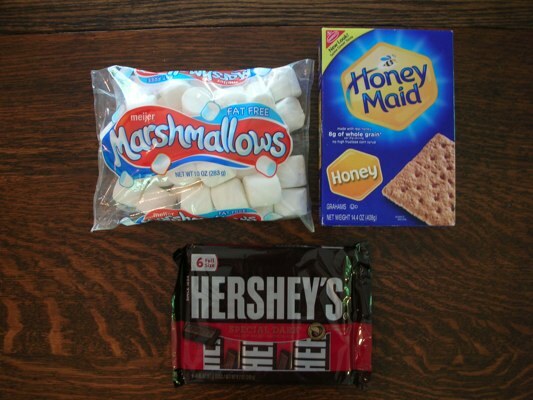 Smores are great for camping trips because they're easy to make and the prepackaged ingredients are easy to bring with you. 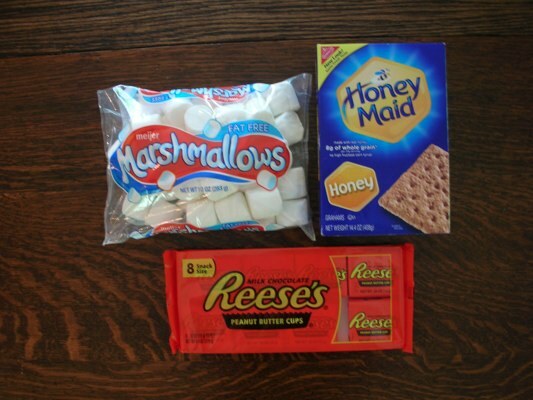 Several other variations of the traditional smore can be created by using the same roasting process, but substituting different ingredients. 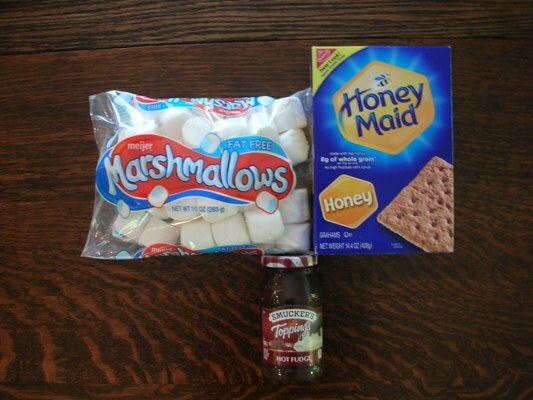 Try these different variations of the traditional campfire smore and see which one you like best. Nothing says summertime like eating a hot smore cooked over a campfire. They're a tasty snack and they're easy to make without much preparation. So go ahead and choose your favorite recipe and give it a try........or try them all!